Print’s not dead. Truth is, print was never dead, or dying for that matter. But it’s changing, that’s for sure. Newspapers have had a tough time the past decade, and with the demanding pressure to compete for online advertising it’s only getting harder. Every year I read articles about how phones are killing newspapers and our online attention spans are ruining traditional journalism. A drop in industry revenue of 2.6% in 2013 led to major losses at The New York Times, The Wall Street Journal and other leading publications. 2014 wasn’t much better, with a 4% drop in circulation meaning newspapers had to experiment with digital. Fast. A growth in both UK and USA newspapers using newer platforms to target audiences meant competing with the likes of Buzzfeed, Vice, Yatzer and Huh. But their downfall so far has been their methods. Using transactional bots to distribute and recommend articles became stale quickly. (Transactional bots use keywords you want to read about to collect articles for you. With no previous knowledge on your interests, geographical location or previous interest in what news sites you look on). This, as you can imagine, means a lot of data that is useless. Now they face a new problem. Online advertising revenue is the life blood of most digital publications, but consumers are increasingly unwilling to put up with it. Due to the overwhelming number of ads you receive on a day to day basis, your friendly phone service provider (looking at you Three) is looking to automatically block ads for you. Apple is looking to do the same thing. China is looking to restrict content not generated in Asia and India wants to filter ads as well. 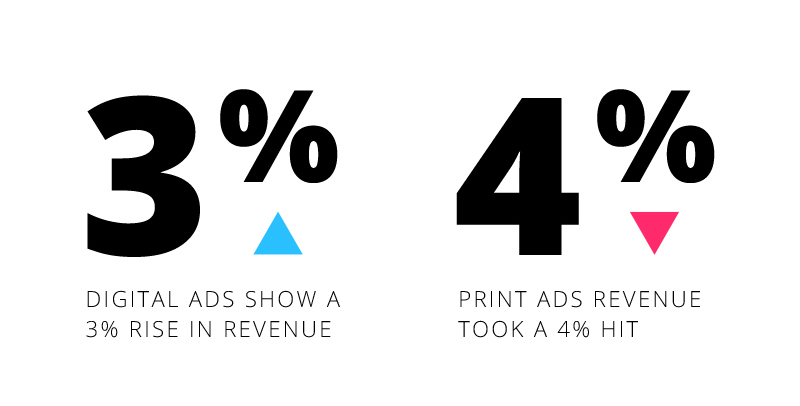 This causes a pretty big problem for newspapers who rely on quick and painless ad targeting, which over the past few years has contributed to a 3% rise in online revenue, while print advertisement has dropped 4%. Some newspapers have taken the “if you can’t beat them, join them” mentality. This March The Independent is shutting down its printing press after over 22 years due to a decrease in sales. 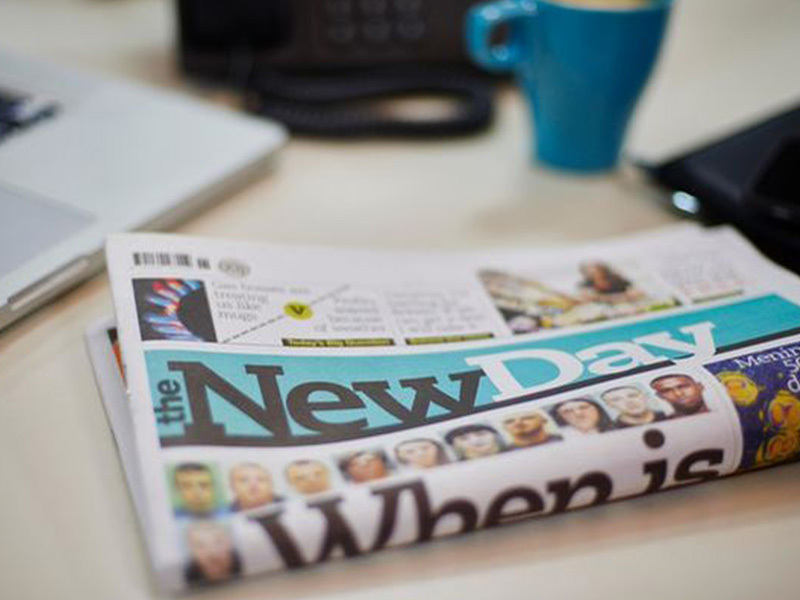 They, however, seem positive about the decision, saying the shift to online only “preserves the Independent brand and allows us to continue to invest in the high-quality editorial content that is attracting more and more readers to our online platforms.” This comes as a complete polar opposite to new kid on the block “New Day” newspaper, a new title that launched last week. The title intends to be print only with content designed to target “time poor” individuals. Overall it seems the newspaper industry needs to look to new, more inclusive ways of targeting people, and in turn generate more conversation. For example, Quartz recommends a way to use bots to recommend content based on your reading preferences and interest in writers. Consumers will be far more receptive of subscription fees and online advertising if they are unobtrusively receiving carefully tailored content. In turn, print publications can build their reputation through their online presence. As a fan of print and a news whore, I can’t see newspapers ever dying. However, to thrive in a digital world, I encourage them to be bolder with their targeting and digital efforts.